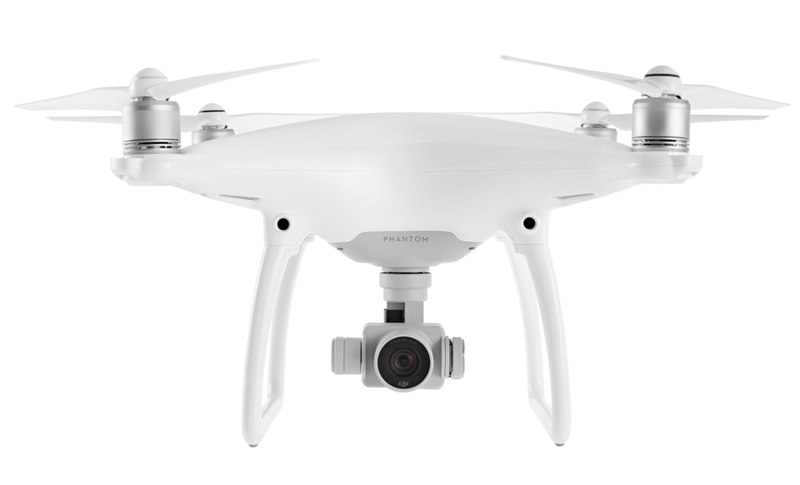 NEW YORK, NY--(Marketwired - March 01, 2016) - B&H Photo would like to share the announcement of DJI's Phantom 4 quadcopter.New for 2016, DJI announces its next evolution in UAS (Unmanned Aerial Systems), updating it with new hardware, a new look, and new functionality. The Phantom 4 continues the heritage of the Phantom line, and improves it in many ways. The newest generation is built around a magnesium core for rigidity and strength, while achieving a light weight for efficient movement during flight and extended flight times. The sleek chassis is aerodynamically shaped to minimize excess movement caused by air currents. In sport mode, the combination of the light weight and aerodynamic chassis the Phantom 4 can reach speeds of up to 45 mph. While the physical improvements to the chassis certainly improve the flight experience, evolutions to the internal operation and the DJI GO app control have been made as well, to further increase the capabilities of this quadcopter. 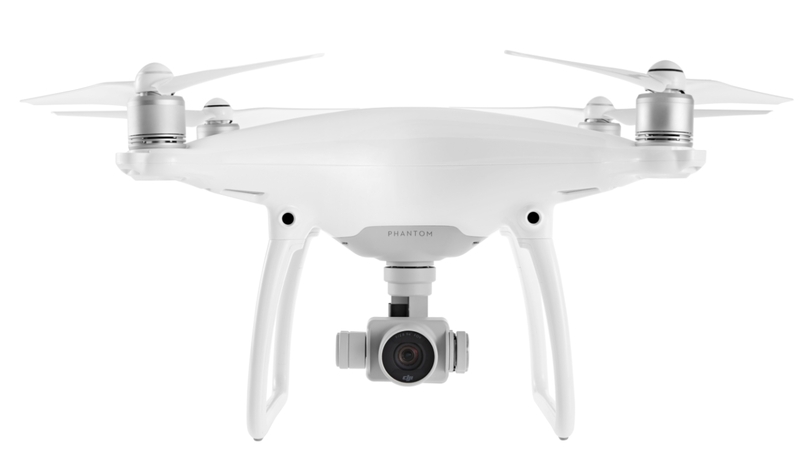 The Phantom 4 features more intelligent flight modes and increased sensory perception by way of two tiny cameras, each one placed directly above one of the two landing legs. These two cameras give the Phantom 4 a sense of depth -- as we humans have -- for calculating the distance between it and incoming obstacles. With the Active Obstacle Avoidance feature turned on, the Phantom 4 will automatically maneuver itself in order to avoid contact with obstacles by flying around them or stopping completely. The Phantom 4 can also sense incoming objects when returning to home, avoiding them automatically to complete its flight path safely. 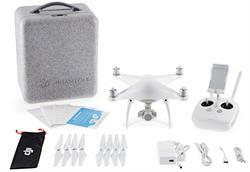 The Phantom 4 can also visually track three-dimensional objects through advanced computer vision, object recognition, and machine learning. Just tap a subject -- such as a person, car, or dog -- on the smart device connected to the Phantom 4, and the quadcopter's camera will center on the subject and follow it as it moves, keeping the subject in the center of the frame. Speaking of cameras, the Phantom 4's camera has a 1/2.3" 12mp sensor capable of recording raw DNG photos and 60Mbps videos at DCI 4K resolution (4096x2160) at 24/25p and UHD 4K (3840x2160) at 24/25/30p. In full-HD resolution (1920x1080) frame rates of up to 120p can be recorded, for dramatic slow-motion effects. The camera's lens has a 20mm (35mm full-frame equivalent) field of view and a bright f/2.8 aperture for clean, sharp video. 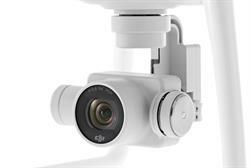 The camera can be controlled manually through the DJI GO app to compensate for local lighting conditions and to prevent "surprise" unintended exposure shifts. The camera is attached to an improved gimbal which holds the camera on both sides, not just one. This configuration places the lens in the center of the gimbal's range, and improves stability during flight. The gimbal is manufactured from magnesium, and is dampened to prevent excessive vibrations from affecting your video. In addition to the new Phantom 4, DJI is bringing out a new Multi-Function Backpack for taking any generation Phantom with you on the go. In addition to your Phantom, the backpack will hold your transmitter, extra batteries, propellers, and a laptop. The semi-rigid construction has a hard back and zippered compartments for storage. The Phantom 4 continues in the footsteps of the successful Phantom line of quadcopters, constantly evolving and bringing new technology, functionality, and construction features to its latest offerings. Be sure to check the B&H website for pricing, availability, and ordering information. 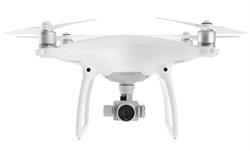 To read more about the full line of drones available at B&H, click here. Computerized flight control is nothing new, but the Phantom 4 is the first Phantom to be given a pair of eyes. Among other features, these front-facing visual sensors enable obstacle avoidance during automatic return home and allow it to track a subject. Under high-contrast lighting, such as outdoors in direct sunlight, you will profit from high dynamic range with a flat response curve to give you maximum detail to work with in post-production. 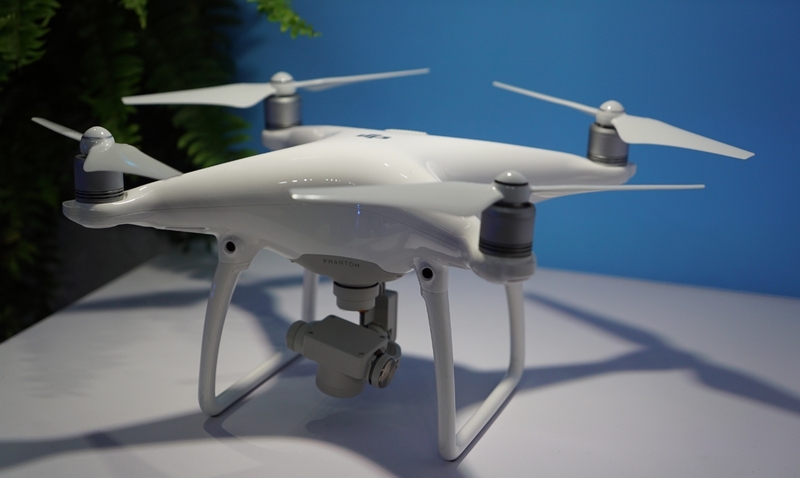 The Phantom 3 Professional Quadcopter. Thanks to improvements in efficiency as well as its intelligent power management system, the quadcopter boasts up to 28 minutes flying time. Whether for cinematography or just shooting for fun, the Phantom 4 gives you the ability to capture DCI-spec 4K (4096 x 2160) at 24 or 25 fps and UHD 4K (3840 x 2160) at up to 30 fps. In addition, the Full HD (1080 x 1920) mode enables recording at up to 120 fps, ideal for creating slow-motion effects im post. The power to edit is essential for professional photography, so the Phantom 4 boasts not just 12MP photos but also Adobe DNG RAW support as well as lens profiles built straight into to Adobe Lightroom and Photoshop. These capabilities give you the control you need to create photos that amaze. Capture moments that will last a lifetime or take your photography or film making to a higher level with the powerful Phantom 4 camera, featuring 4K video capture at 30 frames per second and full HD 1080p at 120 frames per second.